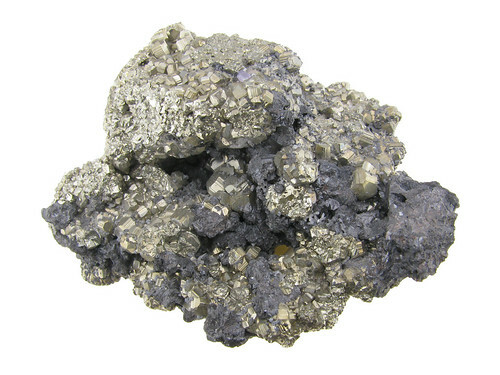 A big piece of pyrite crystals, combined with hematite and a few fluorite crystals. This piece measures 70x60x35mm and comes from the Huanzala mine in Peru. Due to the new lighting system, this photo needed only some cropping. The lighting system uses 4 LCD back-light panels to create a completely diffuse lighting box that also prevents any shadows from forming underneath the object.